Graybeard Games is a very small independent game company founded by video-game industry veteran David Brevik and located in San Francisco, California. We are committed to making unique, fun, high-quality products that inspire our passion for gaming. We closely engage with our community and believe that open, honest, feedback results in the best entertainment. 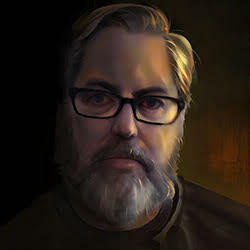 David Brevik is a 27-year veteran game developer best known for co-founding the studio that became Blizzard North and creating the groundbreaking game Diablo and its sequel Diablo II. His lengthy career includes creating Hellgate: London as a co-founder of Flagship Studios and creating Marvel Heroes as the CEO of Gazillion Entertainment.